is an innovative pilot project aiming to provide psychosocial support for marginalized, vulnerable and traumatized groups of children, adolescents, youth and women. 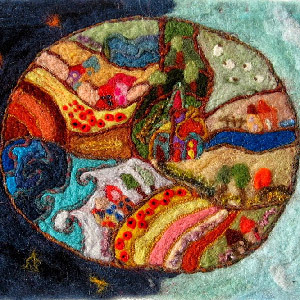 ‘Felt Therapy’ is an alternative approach to cross-cultural counselling, psychosocial rehabilitation, self-expression and empowerment. The project focus primarily on women empowerment, especially adolescents and young adults, who are victims of human trafficking and (child) prostitution, unsafe migration, torture or gender based violence, forced marriage, domestic violence, war crimes, forced labour and slavery. The therapy is community/group based but can be practised individually, participants can engage in different levels. 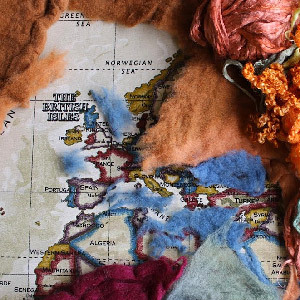 Felt is a living fabric. 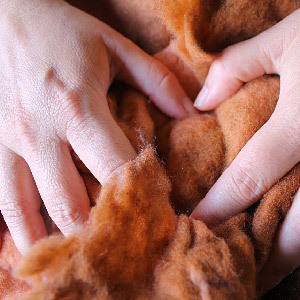 Thin, broken, and weak wool fibers gently blend together by the help of life-giving water, purifying soap and the warm human touch. The fibers then hold on to each other strongly. All the rain, all the wind and all the forces of nature makes them stronger with a heartbeat. It felted and became untearable. This is the essence of humanity.